We’ve been getting quite a few questions about where to order Gridseed ASICs from, so we have decided to compile a short list of places that offer Gridseed 5-chip BTC/LTC ASIC miners. Note that we cannot confirm the reliability of these distributors and resellers of Gridseed, simply because we have not ordered from all of them, so do treat this list with caution and be careful where you order from. A good idea is to start with a small order to test the seller first and then make a larger order for more units if you are happy or go to another seller. The best option would be to go for a company selling in your Country or Region, even though you might be able to get better prices with Shipping directly from China. 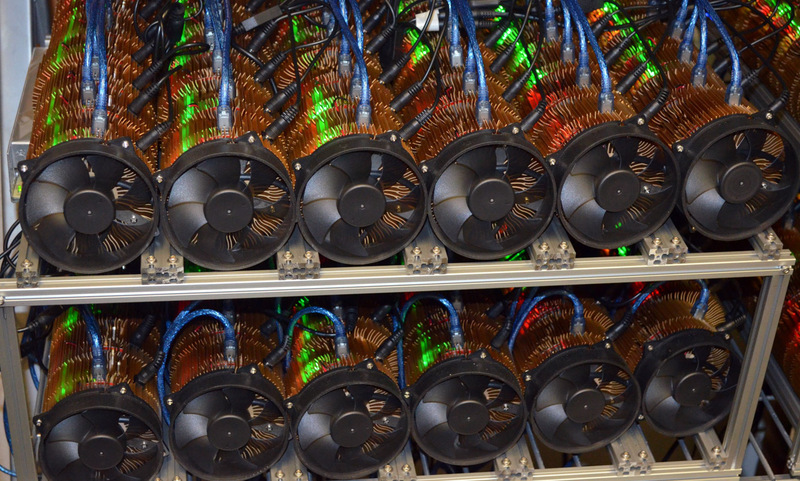 The idea is that you could be able to get the miners faster and with less possible problems, especially if ordering from a seller you are not sure you can trust! Gridseed, the official manufacturer’s website where you can order directly for the best price. Note however that they accept minimum order quantities and the quoted official price is about $158 USD per unit. The shipping is done from China, so it will be more expensive to ship to Europe or USA an there will be extra taxes to pay. This is a good option if you want to become reseller of Gridseed, not something a normal user would do due to the very high MOQ. MinerEU, this is the only company we have personally tested so far and can confirm that we have received our order without problems and on time, exactly as promised. This seems to be the best place to order if you are based in Europe as they Ship from London, UK, however they do also ship overseas with orders dispatched from China to US and Asia. Currently out of stock with a new shipment expected to arrive soon, $235 USD per unit and lower prices for orders of 10, 30 or 50 units. Miners World, a Netherlands-based online store selling ASIC devices (Europe) that has in stock only 10 miners package with all accessories, the price for the kit is € 2499 EURO. The site is not in English, so you might have trouble ordering from there, unless you are based in NL. Hashra, claims to be a UK & Hong Kong based company, but is shipping only from China. Currently has on stock 10 miners pack with all accessories for $2425 USD and 20 miners pack with all accessories for $4835. Their website lists positions for only the miners in packs of 10 or 20 without extra accessories, but these are currently out of stock. JustASIC, apparently a USA-based company shipping only to US. Claims to have one of the best prices for Gridseed ASICs at $165 USD, but you cannot order a single unit, you can only order packs of 20 units for $3300 USD ($165 per miner) with no extra accessories included, currently with available units on stock. Zoomhash, apparently based in LA, Califronia, USA with local stock available. They do seem to ship worldwide as well, but they are probably a better choice if you are based in US and not somewhere overseas. The price per single unit is $214.99 USD without any accessories (we’ve seen a photo taken by us posted on their website of our early revision unit). You can also order 10 devices with accessories for $1999 USD, or 20 devices with accessories for $3899 USD and their store also has some other mining accessories such as PCI-E risers. Hash Master, another company that seems to be based on Los Angeles, CA, USA. Apparently they do also ship internationally, not only in USA, but information about international shipping is posted in product pages. Price per single miner is $238 USD and you get only the miner with a USB cable, no PSU, but they do sell accessories separately as well, and for a single miner with all accessories including a PSU you will have to pay $330 USD. They also offer packs of 10, 20, 50 and 120 miners that include all of the necessary accessories to make them run without the need of a PC. GAW Miners, a East Longmeadow, MA, USA-based company selling both the mining hardware and ASIC hardware and hosting services as their location. Also what makes them different is their 5 Day Delivery Time Guarantee and the fact that they claim to offer 24 hour support service to customers. No clear information about international shipping, though apparently they do support it. We were actually contacted a few days ago by the company’s CEO, who sent us some nice photos of their custom multiple unit miners in action – you can see one of these photos in the top of this post. The price per single miner they sell is $189.95 USD for a single miner with no accessories, a 10 miners pack with accessories is available for $1999.95 USD, and you can go for their custom miner packages consisting of more devices that are ready to provide you with 15 MHS, 25 MHS or 42 MHS of hasrate that include everything you need to setup and run the devices. Helixminers is a Deerfield Beach, FL, USA-based company though it seems they also have a distribution center in Sao Paulo, Brazil, but the good news is that thy ship worldwide. For the moment the company sells only Gridseed ASICs, though they let us know that they will be reselling the ASIC hardware of many of the other companies that have announced to be working on such devices with shipping dates set of later this year. 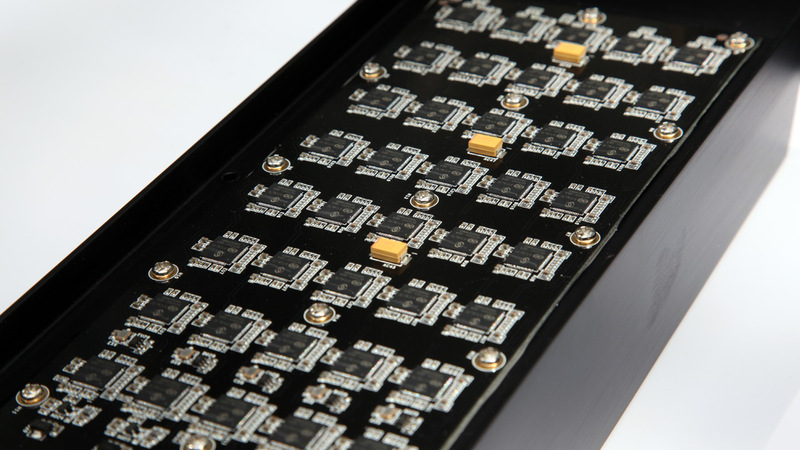 A single 5-chip miner currently costs $175 USD, ad the company also offers larger packages with 8, 16 and 24 miners including all accessories required to start mining immediately and you can also buy accessories separately if you wish to. EyeBoot is a Hong Kong, China-based company that sells both Bitcoin and Litecoin ASIC miners. The prices of most SHA-256 ASIC devices are not very attractive, besides the ones of some USB ASICs, but the ones for Scrytp miners are lookign better. They do offer the single chip GC3355 Dualminer devices for $80 USD, the 5-chip ASICs for $140 USD fr a single device along with packs of more devices that provide you wiht a better per unit price. There is not much details about the shipping of products, but we presume they do ship Internationally. UBERASICS is a Netherlands, Europe-based company that may seem like a good choice for ordering from Europe, though unfortunately they do seem to ship only to some Western Europe contries only and there is no option to pay with crypto coins. A single 5-chip Gridseed miner will cost you 189 EURO or 199 EURO with all the needed accessories, there is also an option to buy a 10 pack kits that will be a bit better in terms of price per unit and accessories separately. USBMiners is another Netherlands, Europe-based company that sells not only Gridseed products, but also various other mining hardware in the form of SHA-256 ASICs and even GPU miners. They offer the single CG3355 chip DualMiner at a price of 79 EURO and a single 5-chip Gridseed ASIC will cost you 124.95 EURO and yo have options for multiple unit packs that should normally give you a better price per unit, though the prices for 10 and 20 unit packs are actually higher that for the same amount of units with the single unit price. The company does seem to ship Worldwide. There are probably quite a few more resellers/distributors offering Gridseed ASIC devices that we did not cover here, we don’t know about all of them. Do note however that we have not personally tested any of the listed sellers, unless otherwise noted above, so we give no guarantees about these companies whatsoever. So regardless of where you decide to order proceed with caution and do not start with a big order directly, test with a small one to confirm that everything is Ok, before ordering more miners. We do recommend to use a local seller if possible and not order from overseas as this can be more expensive, cause delays and bring other issues as well, even if the price seems more attractive often the end result might not be worth it. Feel free to share your feedback if you have used any of these sellers and if you can recommend another one that is not listed yet.